This time JandersUF goes small! 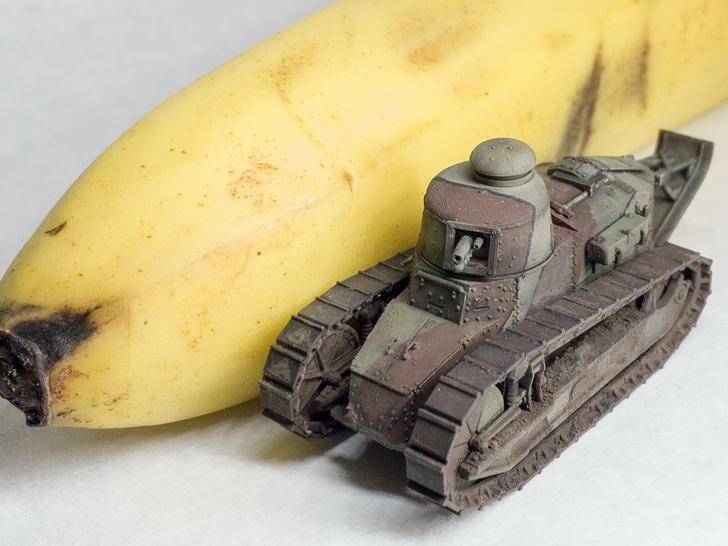 A 1:72 scale WWI tank, the FT-17 by Flyhawk Models and an organic Banana, 1:1 scale by Whole Foods. 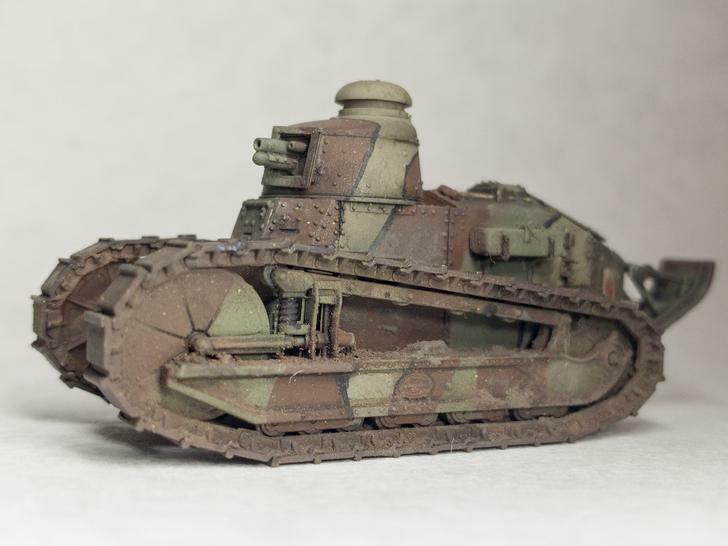 The FT-17 was the first tank to have the now stereotypical rotating turret in top of a chassis with two tracks. 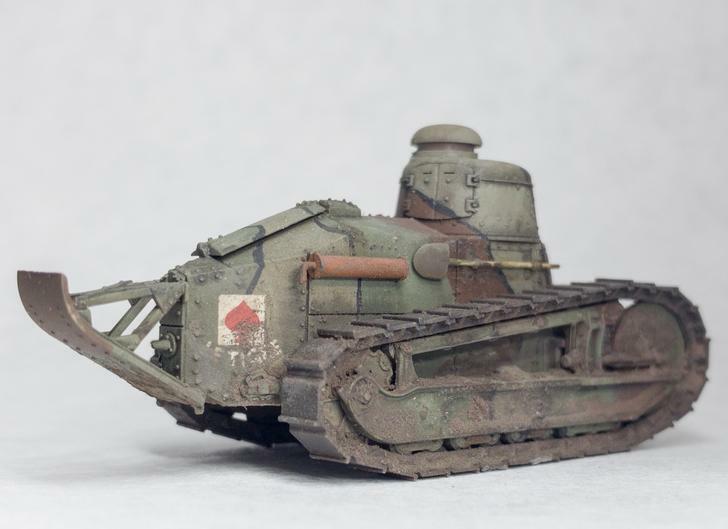 Designed by Renault, it was used by the French, American and later many other armies. 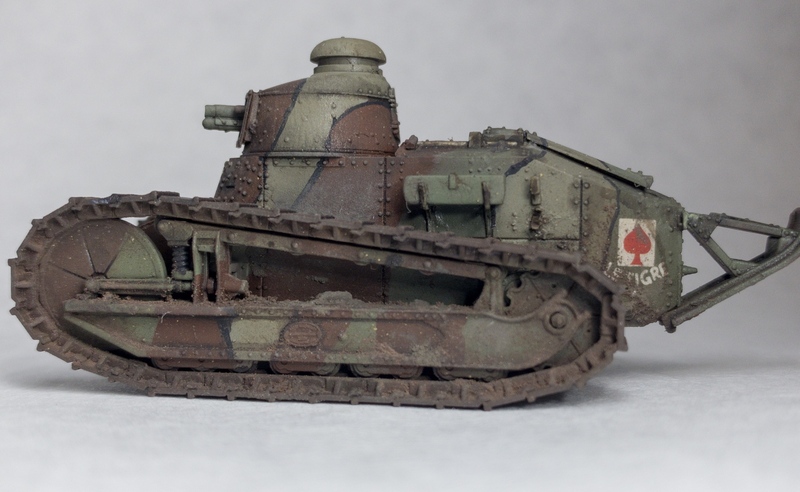 This example is made up in typical French livery from 1918. 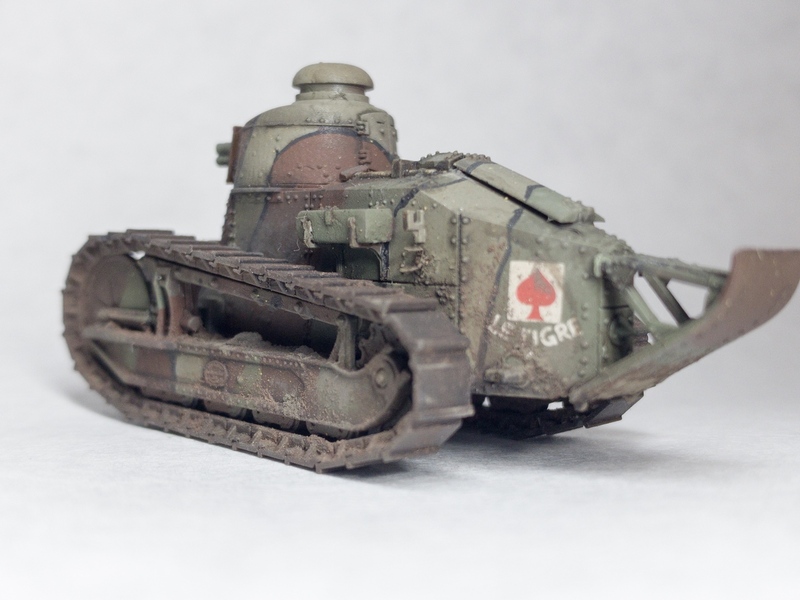 On the back there is the motto “Le Tigre”. The Tiger was the nickname of French President Clemenceau. This guy was painted using Mr Paint brand paints and an airbrush, the black stripes are hand painted with Tamils brand. 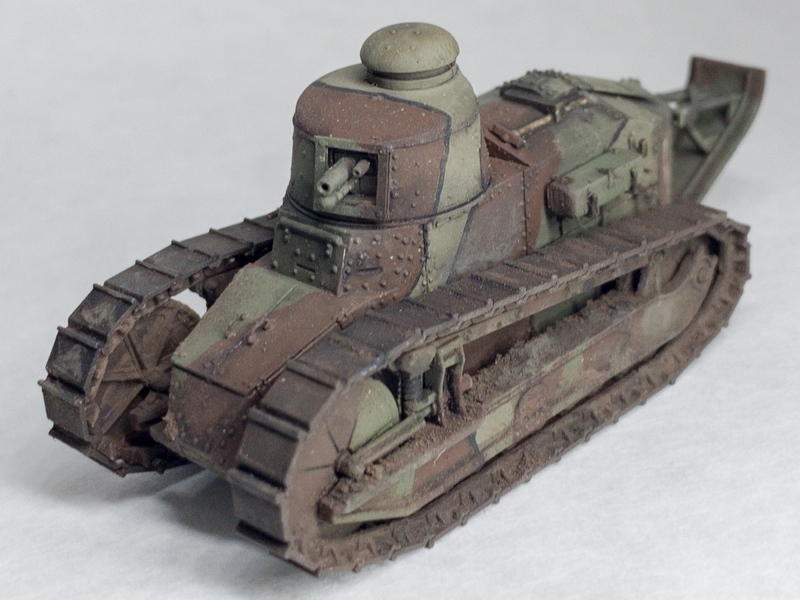 This version had a Cast turret and small 37mm cannon. Other versions carried machine guns and sometimes used different, riveted turrets. It had a crew of two, with the engine in the rear. They were still in use during World War Two! 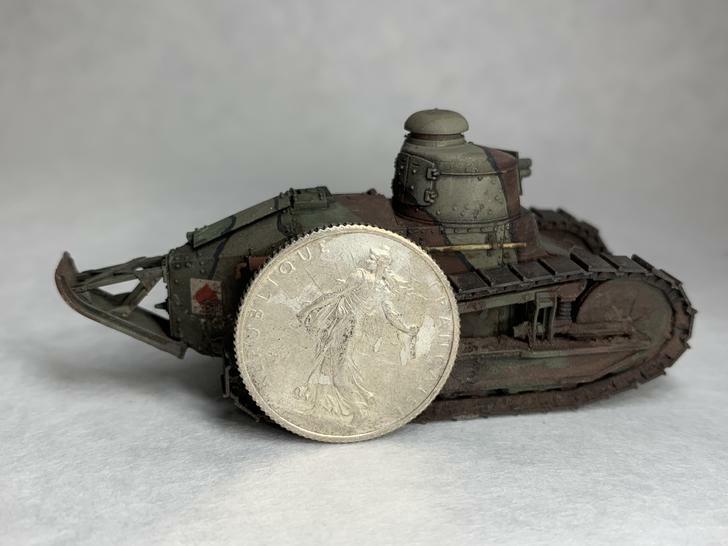 This is a one Franc coin from 1918, the same year as this tank represents… the end of the Great War… 100 years ago. 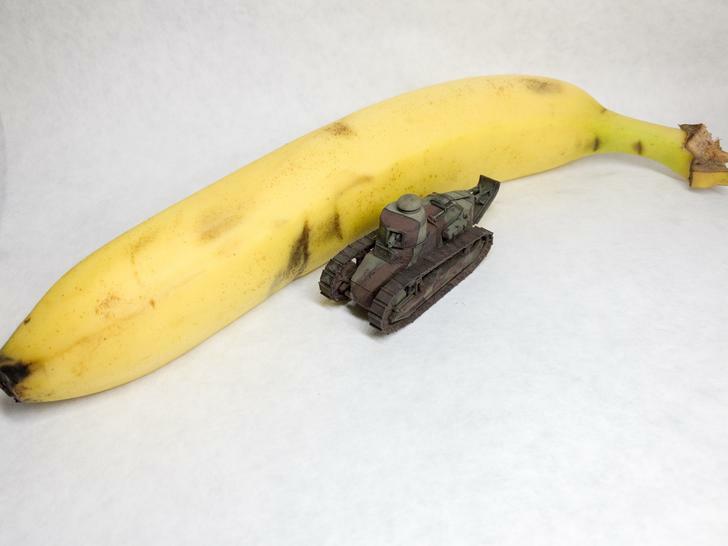 Full banana for scale image. Thanks for looking! Please, stop. I will go back to making these at home and my wife will most definetly kill me then. Why would she kill you? if its your hobby? she should let you have a good time. Awesome , more of these please!